There are five causes of demand-pull inflation. The first is a growing economy. When families feel confident, they spend more instead of saving. They expect to get raises and better jobs. They know their homes and other investments will increase in value. They feel that the government is doing the right thing in guiding the economy. They will also borrow more, either with auto or home loans, or credit cards. If they don't borrow too much, this is a healthy cause of inflation. It creates gradual and steady price increases. The fifth reason is technological innovation. A company that creates a new technology owns the market until other companies figure out how to copy it. People will demand products with technologies that create real improvement in their daily lives. The new technology also creates a cachet for those who must own the latest gadget. 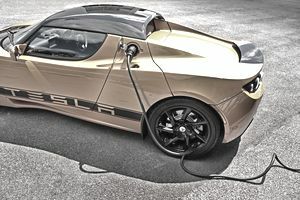 For example, Tesla's electric sports car was a technological breakthrough. It used new advanced motors, powertrains, and battery packs. It is so successful that it sells these parts to other auto companies. After the 2008 financial crisis, asset inflation occurred in gold and oil prices. Deflation occurred in housing prices and personal income. Demand-pull inflation continued in gold prices until they reached a record. That was $1,895 an ounce on September 5, 2011. Demand for gold rose as investors worried about the eurozone crisis and the U.S. debt default crisis. As a result, they bought gold as a hedge against either a dollar or euro collapse. (Source: "The Economic Lowdown," St. Louis Federal Reserve.